Omar al-Bashir was ousted as president of Sudan after ruling for 30 YEARS. (from BBC News) – Organizers of mass protests in Sudan have told the BBC they want the full dismantling of the “deep state” left behind by ousted leader Omar al-Bashir. The crowd chanted “Freedom” and “Revolution,” and appealed to soldiers to protect them, witnesses said. Mr. Bashir has been indicted on charges of war crimes and crimes against humanity in Darfur by the International Criminal Court. [He orchestrated the Darfur genocide beginning in 2003 in which 400,000 non-Arab Sudanese were killed and 3 million displaced.] He denies any wrongdoing. Published at BBCNews .com on April 15. Reprinted here for educational purposes only. May not be reproduced on other websites without permission from BBC News. b) On what charges has the International Criminal Court indicted dictator al-Bashir? c) When did the military say elections would take place? d) Why are protesters, led by Sudanese Professionals’ Association, still protesting and staging sit-ins? e) Read the “Background” below and watch the videos under “Resources.” This is an on-going news story. Follow the news for the latest. 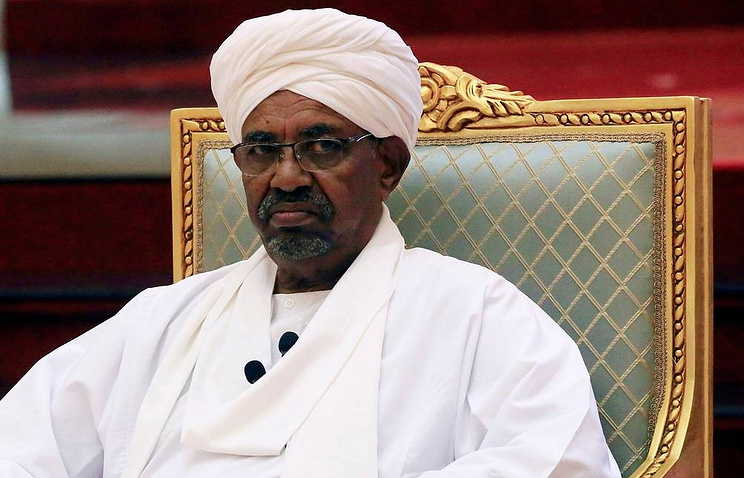 (by Dave Lawler, Axios) – Sudan’s defense minister said on Thursday, April 11 that longtime dictator Omar al-Bashir was removed from office and arrested following months of protests against the ruler’s brutal regime. South Africa’s Times Live reports: The beginning of the end for Bashir began last December when his government tripled the price of bread, sparking protests throughout the country. Demonstrations against the price hike continued into the new year and led to the Sudanese government clamping down on the protesters and killing dozens of people. Axios continues: …[Following Bashir’s ouster last week, Awad Ibn Ouf, the defense minister, announced a three-month state of emergency and said the army would oversee a two year transition period before elections can be held. Bashir’s ouster follows that of Algeria’s Abdelaziz Bouteflika, meaning two of the longest-serving leaders in the region have been toppled by protests in just over a week. He also said the army would not remove protesters from their sit-in by force, but called on the crowds “to let normal life resume” and stop unauthorized roadblocks. “Taking up arms will not be tolerated,” he added. 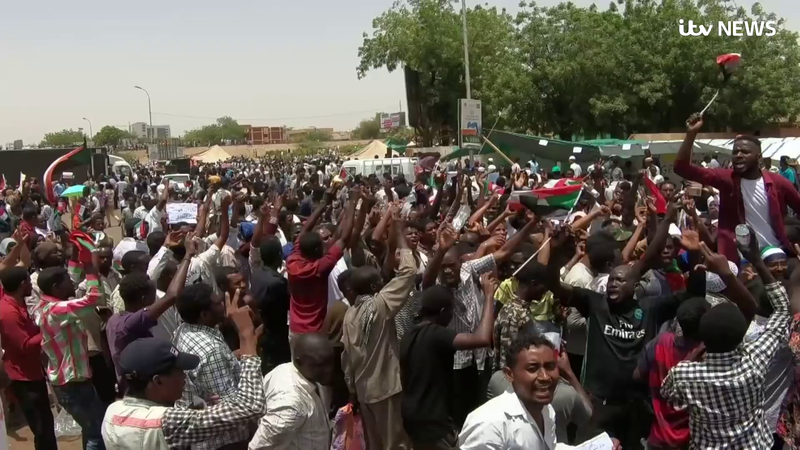 Watch an April 12 CBS News report: After 30 years of harsh rule, two months of massive street protests have ended the presidency of Omar al-Bashir in Sudan. His army placed him under arrest an seized power.